Our valued clients can avail from us significant Line Load Reactors. Manufactured by making use high-grade basic material and components, these offered products are in compliance with the defined parameters of the industry. These products maintain desired voltage and reduce the breakdown of electrical equipment due to low/high supply voltage power saving and PF improvement will be added advantage to the system. Furthermore, to satisfy divergent demands of the clients, we offer these products in different specifications. Our valued clients can avail from Three Phase Reactors. These products are designed and developed by skilled and qualified engineers. They develop these reactors by making use of optimum-quality basic material and components while taking into consideration market demands and industry laid parameters. Furthermore, they develop these in different specifications which make us to meet divergent demands of the clients. We are offering our clients with high performing Silicon Steel Lamination Reactors. These offered reactors are developed by making use of high-grade basic material and components, procured from the established vendors of the markets. Engineered to excellence, these products are completely in adherence with the defined parameters of the industry. 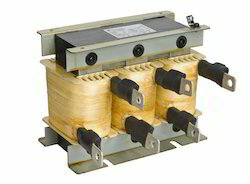 The offered products support line reactors as well as output reactors for AC and DC drives. 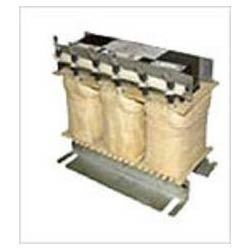 Furthermore, to meet divergent demands of the clients, we offer these products in different specifications. Looking for Industrial Reactors ?